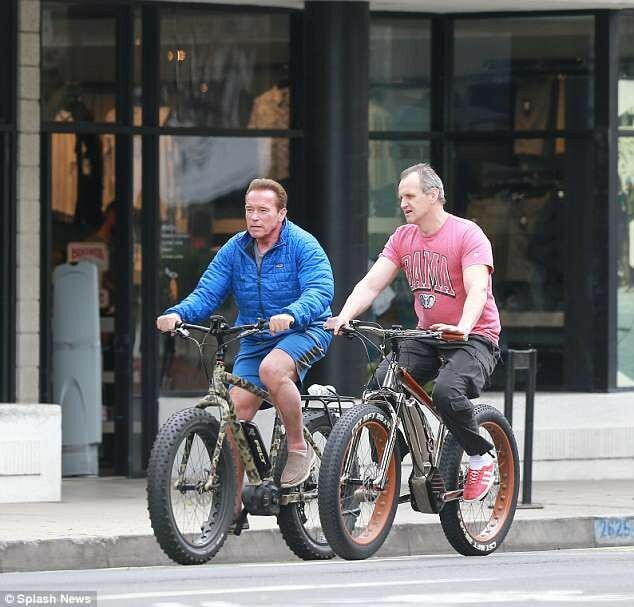 Legendary actor and politician, Arnold Schwarzenegger, was pictured in good spirit as he went for a bike ride two-months after his successful open-heart surgery. 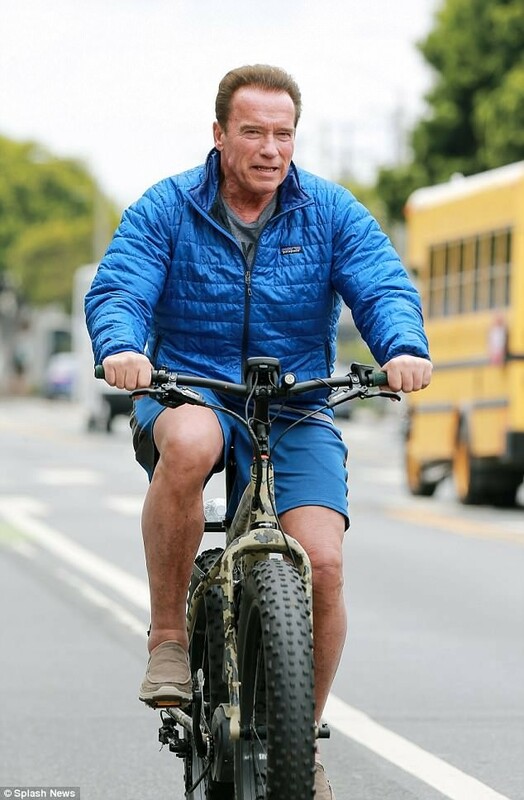 The 70-year-old action star and former California Governor was spotted engaging in a sporting activity for the first time in Los Angeles on Thursday. 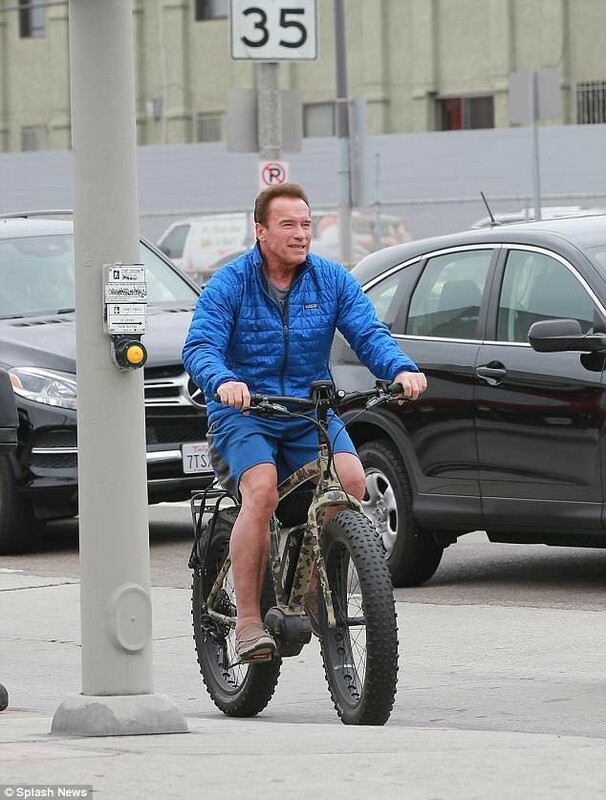 Arnold who rocked outerwear with tiny blue shorts and brown slip-on shoes smiled during the afternoon bike ride. He was also joined by a male pal. This comes less than two months after he underwent a life-saving heart surgery at Cedars-Sinai in Los Angeles, to replace his pulmonic valve.